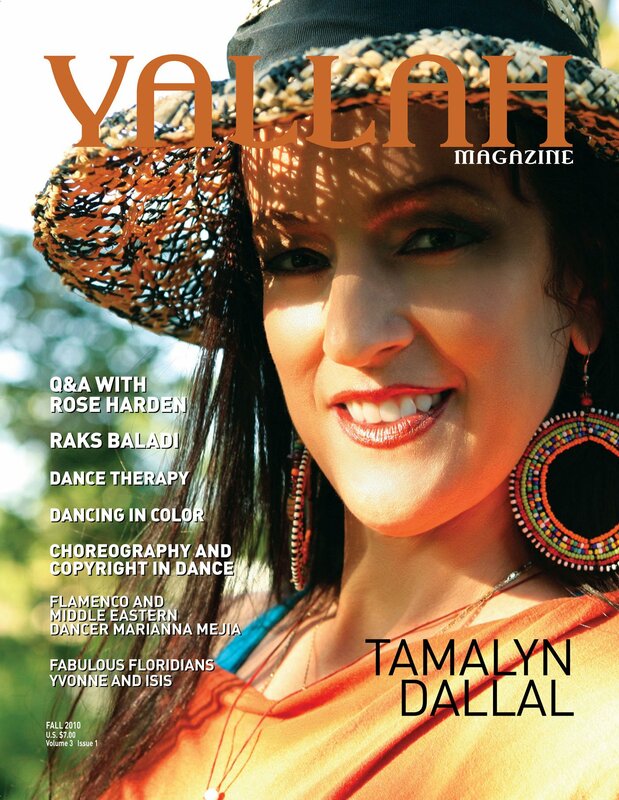 Rosa Noreen hosted Tamalyn Dallal for a weekend of workshops, private lessons, and, on the evening of June 11, a variety show, Solstice Spectacular, featuring performances from Tamalyn, Rosa, and several other area artists. Finishing out the first act, Tamalyn took the stage. Ms. Dallal's unique take on double veil work was enough to solidify her standing as one of the world's top belly dancers in my book. I don't know if she came up with the techniques on her own, if she did double kudos! Even if the technique was borrowed, the execution was intriguing and captivating. She moved subtly, lucidly, and gracefully, gliding across the stage in an enviable way. To close the show, Tamalyn Dallal performed a sword piece with grace and precision, at one point appearing to float across the floor doing a vivid and crisp shimmy, all while balancing a sword atop her head. I want to give a personal shout out to her head slides, and I know the woman sitting next to me grabbed my arm at one point and said, "You better write about her hands!" Indeed! Tamalyn has beautiful energy that runs through her hands; an unmistakable sign of a dancer devoted to knowing her body and her art! (2011) 80 min. DVD: $39.95. Dance on Film. PPR. ISBN: 978-09795155-9-0.